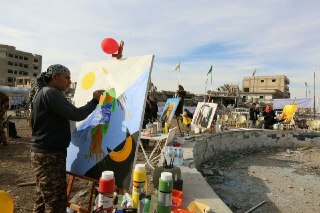 Ehmedê Huseyin: ''Artists can create life from death. The role of the intellectuals during the war times is very important. Neim Square was a place of fear and death but today it has become the square of colour, happiness and beauty"